Medical Laboratory Technology is a profession which combines the challenges and rewards of both medicine and science. Medical Laboratory Technicians perform a wide variety of laboratory procedures and work in both public and private laboratories serving the health care sector. Medical and clinical laboratory technicians specialize in work to determine the presence, extent or absence of disease. They do this by performing a full range of routine laboratory procedures from simple blood screens to more complex tests to detect diseases such as cancer, coronary artery disease, and diabetes. The Registered Medical Laboratory Technician is an allied health professional who is qualified by academic and practical training to provide service in medical and clinical laboratory science. Graduates of the Tyler Junior College MLT Program are qualified to sit for national certification exams sponsored by the American Society of Clinical Pathologists (ASCP) Board of Registry or other certifying agencies. TJC’s MLT Program currently has a 3-year average of 89% Board of Certification pass rate, a 95% graduation rate, and a 100% placement rate as determined by guidelines from NAACLS. Our Medical Laboratory Technology AAS offers you a two-year program designed to provide understanding, proficiency and skill in medical laboratory technology. 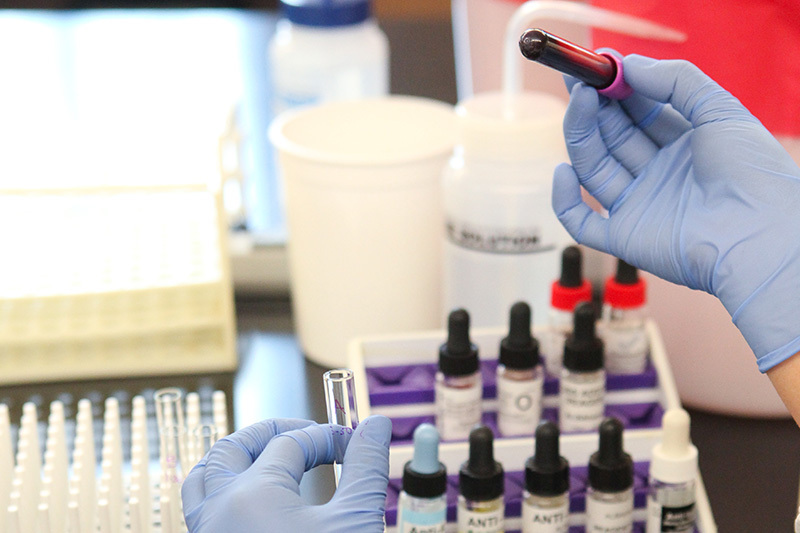 TJC is an open admissions college; however, acceptance into the Medical Laboratory Technology Program is limited. Acceptance into the program is reviewed by an Admissions Committee.